If you’re a Meatless Monday veteran, you’ve probably had more than one slice of cheese pizza. It’s the default for vegetarians when group ordering pizza, right? What a shame, too, when there are so many more interesting combinations available for vegetarian pizza! This option is borrowed from In Pursuit of More. 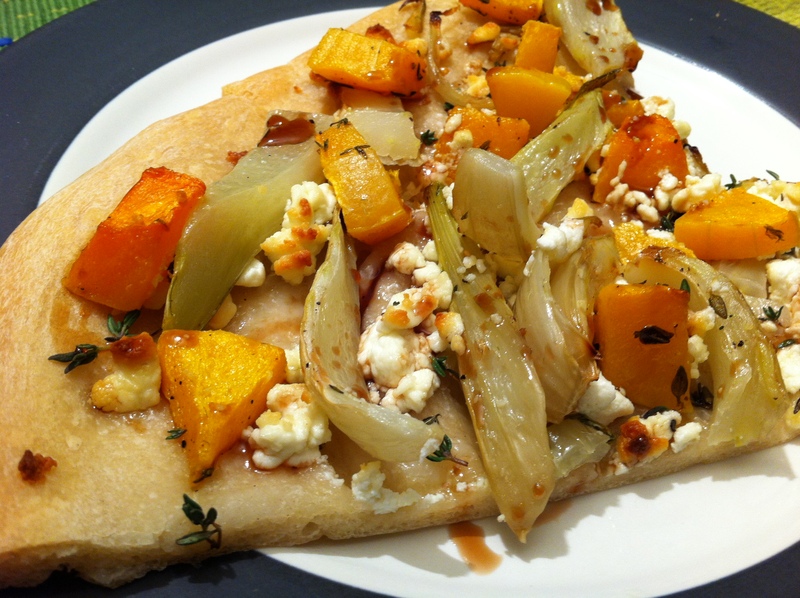 This vegetarian pizza features butternut squash, fennel, and fresh thyme. It’s basically roasting all of my favorite vegetables and putting them on pizza, which is awesome. In fact, I think next time I’ll add more of my sweet roasted fall vegetable recipe–including pecans. As is, it served as a fantastic date night meal for me and the husband with the addition of a cheap bottle of chardonnay. 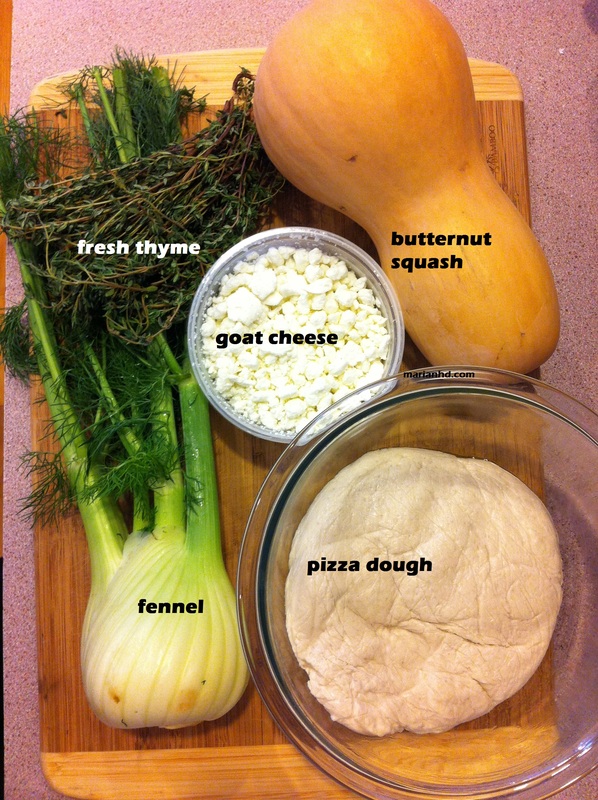 It’s also a great introduction to fennel if you’re a newbie. 2. 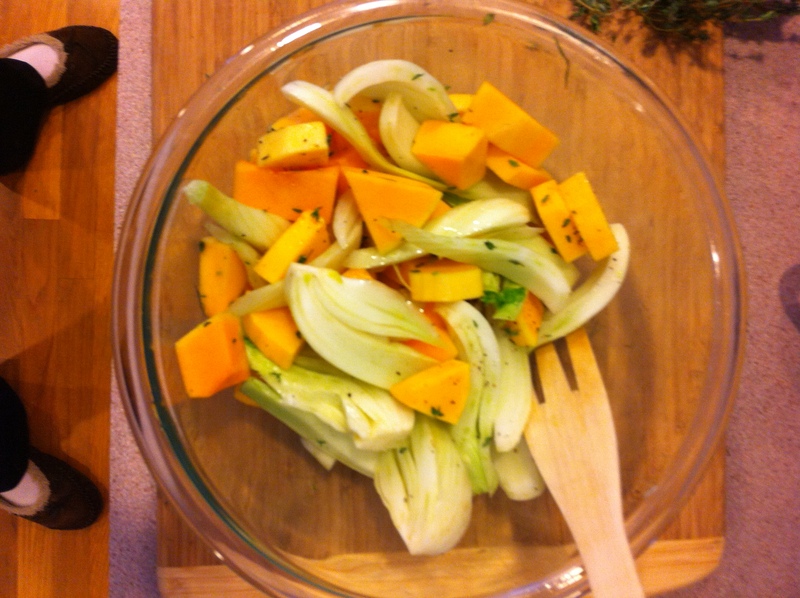 Toss 1 cup of squash pieces and all the fennel with the olive oil and spread out in a glass baking dish. Season with salt and fresh thyme and roast for about 30 minutes, until soft and starting to brown. Stir and flip halfway through the baking time. 3. While the vegetables are roasting, press your dough out on your pan. I was pressed for time, so I used a purchased ball of dough from the local Whole Foods. 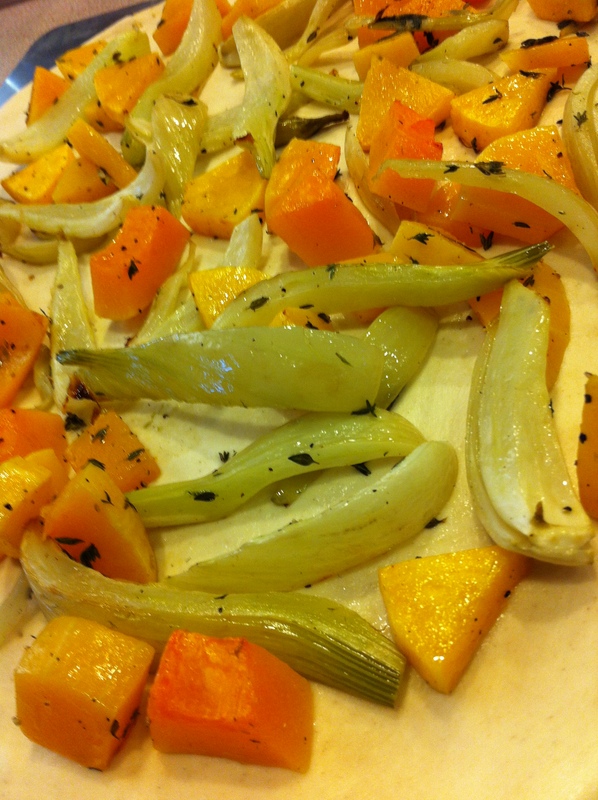 Once your vegetables are finished roasting, let them cool slightly and then spread them over your prepared dough. 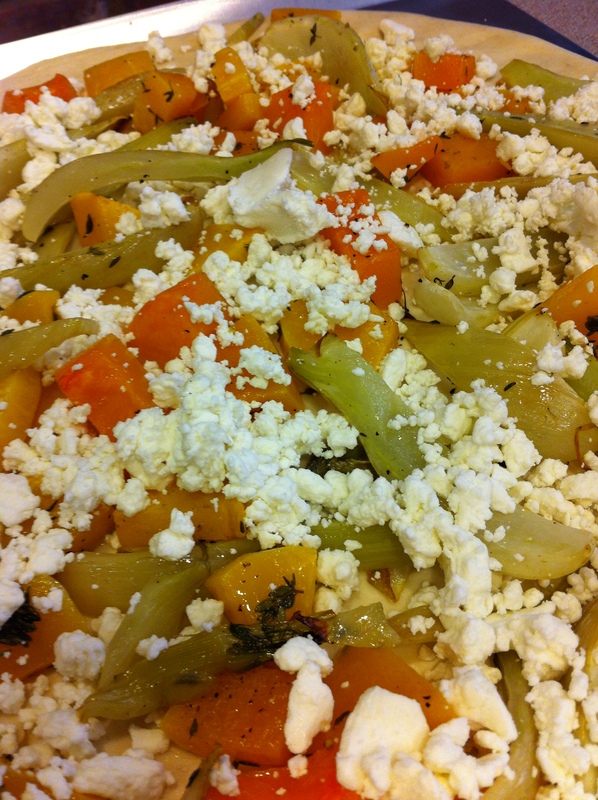 Top with the goat cheese and bake until the crust is browned. The time will depend on your crust. Mine took a total of about 40 minutes. 4. When the pizza comes out, top with a drizzle of olive oil, fresh thyme, and some cracked pepper. A drizzle of balsamic reduction is also delicious on this pizza.